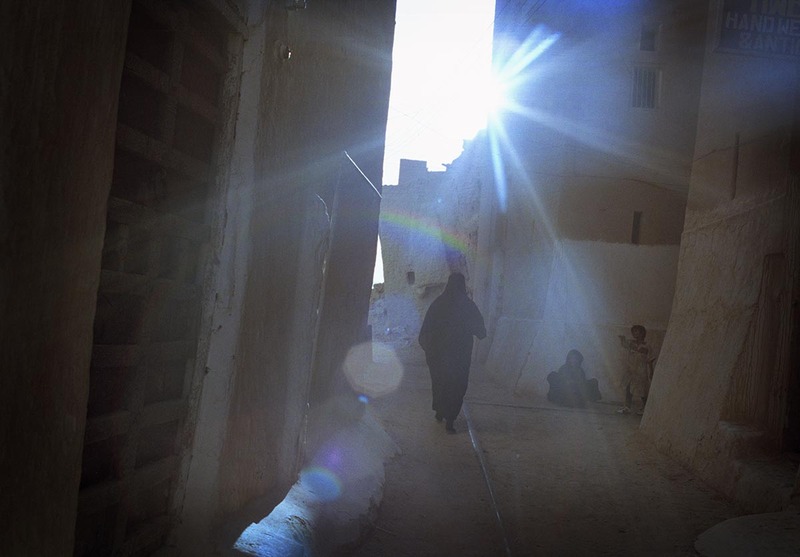 Yemen/Shibam 22/04/02 A woman walks through the narrow alleys and past a beggar in Old Shibam which is home to the skyscrapers of the ancient world. The clay multi-storey houses are more than 500 years old. The city is designated a UNESCO World Heritage site.